The Relationship Edge – Are You on It, in It or over It? You get to know them and decide if you want to dance again. If you like them and believe you have some things in common, you may dance again. And again. If you feel good about the relationship and a bit of trust emerges, you may permit a transaction to take place. A meeting, a dinner, a sale or, in a social setting, even a kiss. As the relationship matures, facts and truths begin to reveal themselves – causing decisions to be made about the future of the relationship, including things like its length. And one day you begin to see things you’ve never seen before, because life and business life take over and reality sets in based on daily transactions and interactions, coupled with patience, emotions, feelings and responses. Measuring value, worth and trust of the relationship in business – I’ll refer to these elements as edges. You have edges or levels past which you will not go. Tolerance levels, social levels, service levels, philosophical levels and business levels. If someone tries to go past your edge, your tolerance level, you, in some manner, rebuff or deny them. Maybe even dismiss them. Your compatibility for and with the other person’s edges, combined with your acceptance of the other person’s edges, will determine how the relationship grows or dies. There are ethical edges, both personal and business. If someone goes past your ethical edges, you have a reaction, often acute, that says “danger.” It can be as “innocent” as cheating on your golf score or as serious as cheating on your taxes or not paying your bills. It can be an erroneous invoice or an unmet crucial (promised) delivery date – but whatever it is, it’s a relationship breaker. And then there are the emotional edges. How someone reacts when something goes wrong or how someone responds to a point of argument. And how you feel about or judge their reaction. Are they whiny? Are they quick-tempered? Are they abrasive? Are they abusive? Are they somewhat of a wildcard? Flying off the handle. Or worse, showing characteristics that you either don’t like or fear. A temper. A hostility. A vindictiveness. An anger. An insult. Even the threat of physical violence. Personally, I believe that “past the edge” silent thoughts are more dangerous and more powerful. Dangerous because they’re left unsaid and allow the present situation to continue. More powerful because they begin to deepen and build emotion. And like any latent power, eventually, it explodes. What are your edges? Where do you draw the line? What are you willing to accept in others in order to continue a relationship? Many spousal relationships become petty before they end. Leaving the cap off the toothpaste. Dirty laundry lying around. Dirty dishes in the sink. The gas tank on empty. Dumb little things that erode love because after a hundred abrasive times, it’s over someone else’s edge. Of course, there are worse edges in personal relationships. For the purposes of this writing, I’d rather not get into them. And if you’ve forgotten what they are – any local news program will remind you of them nightly. Rather, I’m challenging you to widen your field of acceptable edges. Extend your patience. Figure out how you can help first rather than complain, nag, bicker, nitpick or whine. Figure out how you can compromise just a bit more. Figure how you can have a bit more understanding and empathy for the other guy’s position or situation. And figure out how you can be more of a resource than a resister. More of a yes than a no. 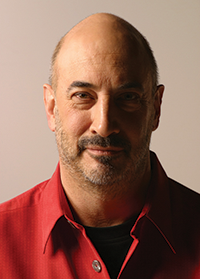 Jeffrey Gitomer is the author of 12 best-selling books, including “The Sales Bible” and “The Little Red Book of Selling” and “The Little Gold Book of Yes! Attitude.” His real-world ideas and content are also available as online courses at www.GitomerLearningAcademy.com. For information about training and seminars visit www.Gitomer.com or www.GitomerCertifiedAdvisors.com, or email Jeffrey personally at salesman@gitomer.com.